Peppermint shrimp, popular with aquarium enthusiasts, show promise as a parasite control mechanism in commercial shrimp farming operations. Photo source: CMBS Singapore. Cleaner fish like wrasse and lumpfish have been used as a parasite control in aquaculture for decades, but for the most part their use has been limited to salmon farms in Norway and northern Europe. Now, researchers on the other side of the world are experimenting with a biological control for warmer climates: a parasite-eating shrimp popular with aquarium enthusiasts. 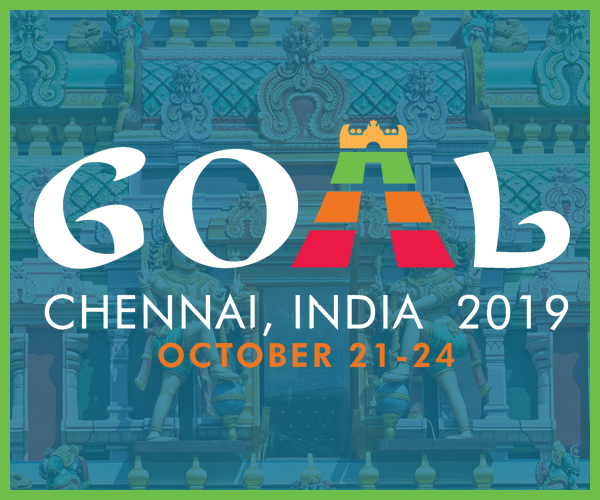 “The majority of aquaculture is in the tropics,” and yet no biological control yet exists for the region, says David Vaughn, a marine scientist at James Cook University in Queensland, Australia. There’s also a growing need to reduce the impacts of chemical controls in tropical aquaculture, he adds. “We need to look at alternatives now, and I believe that biological controls in general are that answer,” he told the Advocate. Vaughn was part of a group of scientists that tested four cleaner-shrimp species for their ability to reduce parasites on grouper. 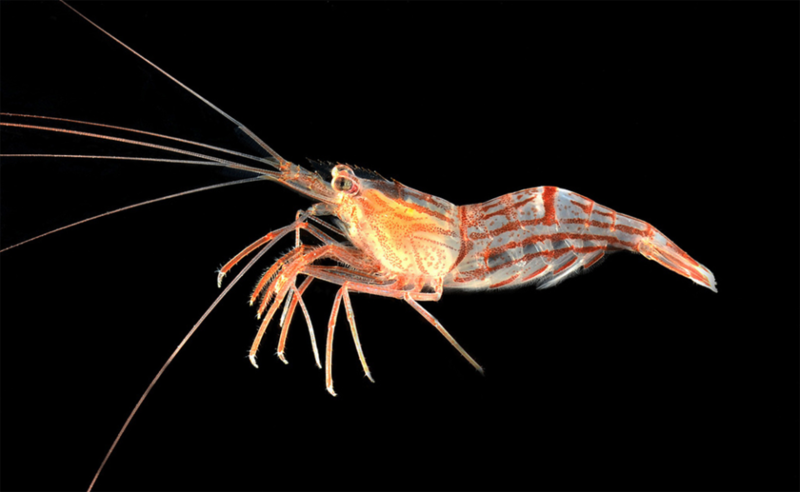 While all the shrimp were effective, one standout species, peppermint shrimp (Lysmata vittata), reduced parasites by up to 98 percent. The team’s paper on their work was published in 2018 in Nature Scientific Reports. Shrimp offer several potential advantages over cleaner fish, Vaughn says. Cleaner fish can often be susceptible to the same parasites that affect the fish they’re cleaning, making them challenging to maintain. That’s not a problem for shrimp. And many cleaner fish only eat certain species of parasites, limiting their use. That’s especially an issue in the tropics, where there is a much larger diversity of species being farmed, and a wider variety of parasites. Not only do the shrimp attack many different kinds of parasites, they’re also effective at removing parasite eggs from the environment. In a study published in September in Aquaculture Environment Interactions, Vaughn’s team found that peppermint shrimp effectively cleaned parasite eggs from the mesh of grouper cages, reducing recruitment by 87 percent. That’s important because it’s during this stage, when the parasites are reproducing, that fish are typically re-infested by the parasites. “The shrimp can actually reduce the impact of some of the environmental stages of a parasite, which cleaner fish cannot do,” Vaughn says. The research is in the early stages; the team’s studies were all done under laboratory conditions and have yet to be tested in the field. 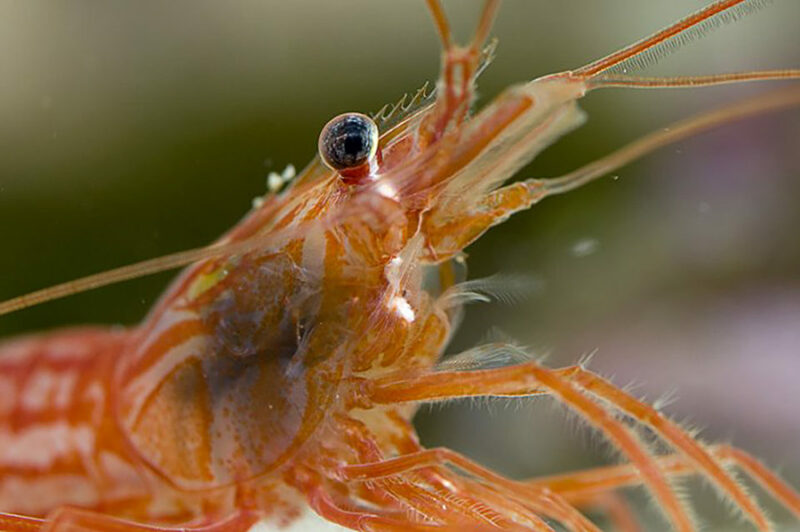 But Vaughn sees potential for cleaner shrimp to work in a commercial setting as well, noting the shrimp are highly tolerant of crowded conditions. They eat anything – whatever you put in front of them. More work has to be done to determine the best way to use cleaner shrimp in a commercial setting, Vaughn says. That includes determining the ideal stocking density and figuring out how to apply them to a cage setting. “They’re so small, you may well lose them,” he says, adding that land-based operations like hatcheries and nurseries could be a good place to start. It’s also important to determine how local ecosystems would be affected by the introduction of shrimp to the environment, he says. Vaughn notes that peppermint shrimp have a wide natural distribution across the tropics, ranging from Australia to Russia, so they wouldn’t necessarily be considered an introduced species. But assessing potential environmental impacts is still a critical step, he says. Vaughn isn’t the only researcher outside of Europe looking for region-specific biological controls. Danny Boyce, facility and business manager of the Dr. Joe Brown Aquatic Research Building in the Department of Ocean Sciences at Memorial University in Newfoundland, is working with local salmon farms to test biological controls for sea lice using species of lumpfish and cunners that are native to Newfoundland. Peppermint shrimp are already being commercially produced for the aquarium trade, although volumes would need to increase significantly in order to produce enough numbers for aquaculture applications. “It’s not as big as Norway or Scotland or the Faroe Islands, but we’re trying it out on four farms, and we’re getting a great result,” Boyce says. Boyce started the program more than a decade ago after he saw how cleaner fish were being used in Norway and wanted to see if the method could be applied in Canada. After experimenting with both species, he’s now focusing on native lumpfish, which are already farmed commercially for their roe, and reach maturity faster than cunners, which take two years to grow to a usable size. “For smolt, we can use a lumpfish that’s 15 grams, and we can have that fish ready to go, from egg to cage site, in a little over six months,” he says. Researchers are now studying ideal feeds, vaccines, water conditions and habitat for the lumpfish, which typically require resting places and shelters within the cages. “We’re still trying to get a basic understanding of how these species behave in the cage site, and what support or what types of furniture they need,” Boyce says. Ilima Loomis is a freelance journalist in Hawaii who covers science, travel and business.